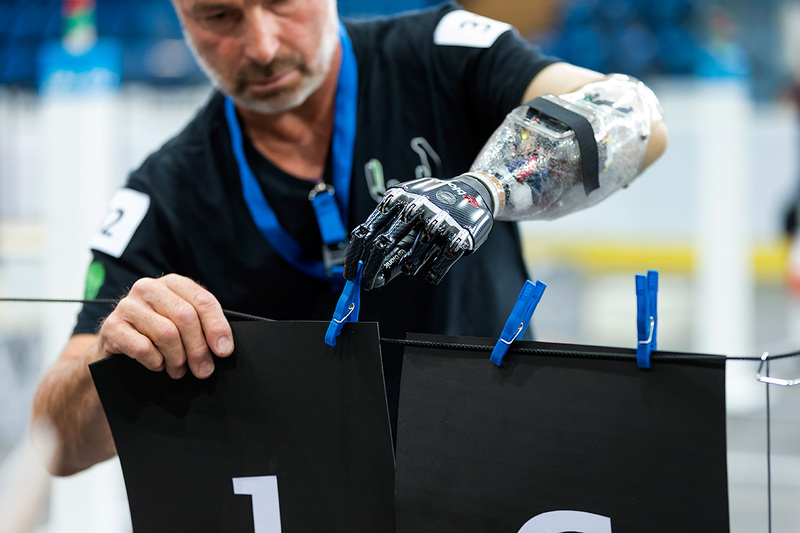 In 2016, the first ever Olympic-style competition for disabled ­people using robotics-based assistive technologies took place in Zurich: Cybathlon. Teams from around the world participated in this world first organized by ETH Zurich, which made the ­unthinkable ­possible for disabled people. EPFL’s Brain Tweakers triumphed in the Brain-Computer-Interface race, while ETH’s Scewo team participated with an electric stair-climbing wheelchair.